The Eleaf iStick QC 200W with Melo 300 Kit 5000mAh is one of the latest Eleaf kits, and comes with a 5000mAh iStick QC MOD and Melo 300 tank, provide you with a better smoking experience.6 colors available. The Eleaf iStick QC 200W with Melo 300 Kit 5000mAh is one of the latest Eleaf kits, and comes with a 5000mAh iStick QC MOD and Melo 300 tank. 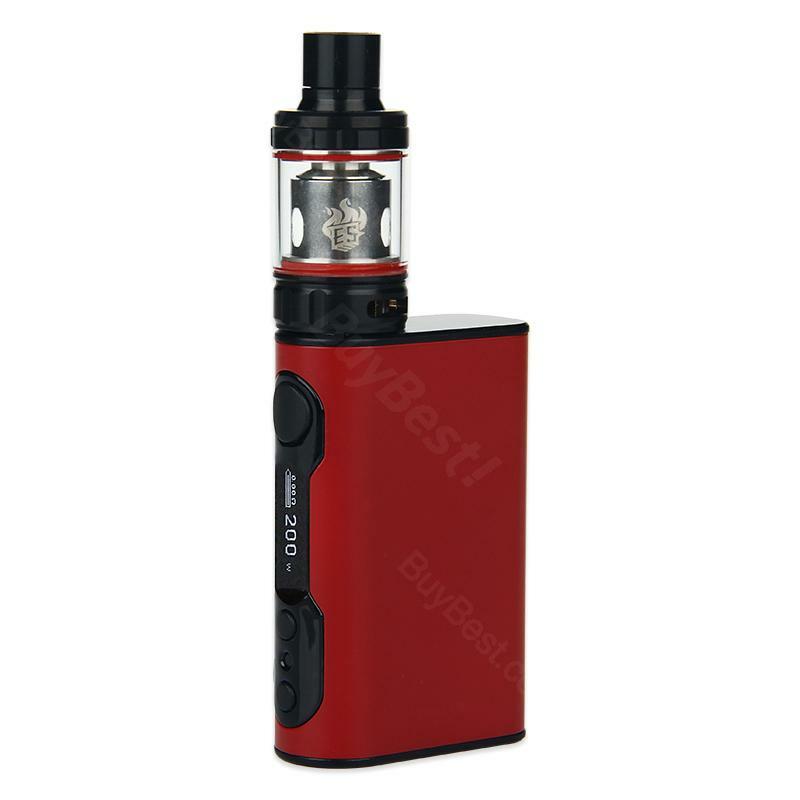 iStick QC 200W Mod has a built-in 5000mAh capacity battery, can provide 50A / 200W output. It also has 1.5A fast charging capability and mobile power mode, less charging time, long battery life, so you can use for a long time. Convenient Retractable Top Fill System that allows you to easily change the liquid. Optimal Airflow for Massive Vapor Clouds, can provide more smoke, to provide you with a better smoking experience. The perfect combination of the MELO 300 and iStick QC MOD, 6 colors available. • Quick link: Replacement ES Sextuple-0.17ohm Coil. I ordered 08.02 from the post office took 28.02. The order is satisfied. Included was a wire for charging, a vaporizer and a couple of rings. Packed well, the box is whole and the weep itself is in perfect order. Very nice vape, only complaints are the charging port placement (on the underside) and that the Melo 300 tank cannot contain very much e-liquid. Otherwise it is perfect. Shipping could have been quicker but it wasn't too slow either.